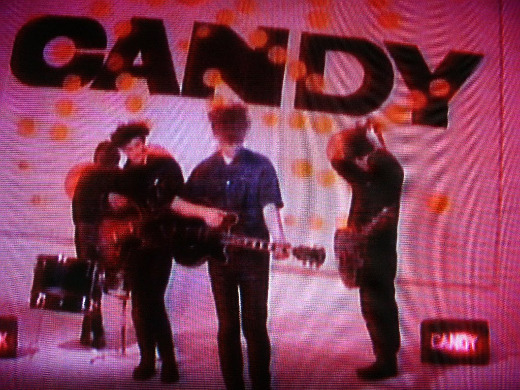 With the 25th anniversary of the release of The Jesus and Mary Chain’s noise-pop masterpiece Psychocandy approaching in November, band co-founder Jim Reid is leaving the door open — if ever so slightly — to the possibility of preforming the record live in concert to mark the occasion. In an interview with the Von Pip Musical Express blog (via Creation Records: Doing it for the Kids) timed to promote the new JAMC compilation Upside Down: The Best Of, Reid is asked whether he and his brother William — who reunited for a series of concerts in 2007 — have considered commemorating the release of their seminal debut. As far as Psychocandy is concerned, I wouldn’t rule it out, but the truth of the matter is, it’s a very hard record to play live. Christ only knows how we managed to do it all those years ago — but we probably didn’t! We were probably just so drunk that we thought we did. Most of the rest of the interview is devoted to Reid reminiscing about the making of Psychocandy, and how the band dealt with the critical adulation when approaching the follow-up, Darklands. Reid also admits that his favorite JAMC album might actually be 1992’s Honey’s Dead (“seems to be a little bit of everything on that record”). as much as I love Psychocandy, Darklands is still my favorite JAMC album. I would love a reunion tour either way. Honey’s dead, i never even bought it.